Yes, you really can make your New Years resolutions work! Happy New Year! Just the sound of those words suggests a new beginning; a chance to start over with a clean slate. I’ve always been a big believer in the power of a New Year’s resolution, and even though many of the people I ask seem to not make resolutions, research consistently shows that most people still do… and yes, some of us even keep our resolutions! 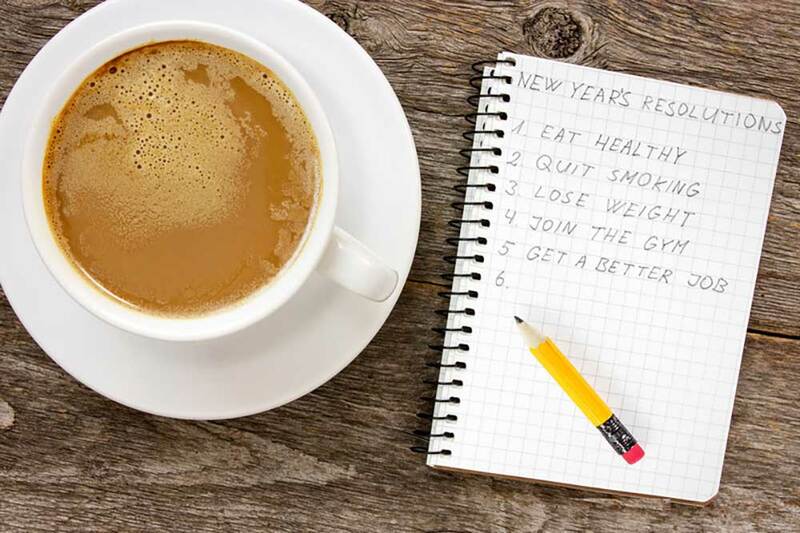 Somewhere between 50% and 60% of us make New Year’s resolutions and, while research seems to vary quite a bit on this one, anywhere from roughly 10% to 40% claim to have kept their resolutions for at least one year. Even if we go with the low end of both those ranges, that means about 5% of the population are seeing some positive long-term changes in their lives due to their having made a resolution at the start of the year. Maybe not a lot, but that adds up to millions of people with improved lives. Can you get yourself into that group? Absolutely! My experience though has been that, like most things in life, a successful New Year’s resolution is less about willpower and more about planning. I offer talks and even a full seminar on how companies and individuals can improve their chances of successfully making positive changes, but to keep this post brief, let’s look at just a few ways you can plan — and keep — your resolutions. Vague resolutions like “Lose weight” or “Spend less time watching TV” are much more prone to failure than specific goals like “Lose 2 lbs. per week until I have lost 20 lbs.” or “Spend no more than one hour a day watching TV or online videos.” Notice the “or online videos” in that last example? We can sometimes allow ourselves to cheat without feeling guilty by finding substitutions that are no better than the original problem. If you’re serious about change, give some thought ahead of time to how you might try to cheat yourself, and seal those doors shut. High standards are wonderful. Yes, they sometimes get a bad rap these days for causing guilt and pressure but seriously, high standards also spur us to be more productive at work, more loving as spouses, and more awesome as parents. The key is to keep your standards high but attainable. If you’ve never jogged, telling yourself you’re going to start running five miles a day is not likely to end well. Instead, set reasonable targets that challenge but do not overwhelm you. You may even find it helpful to staircase your goals. “Walk for 10 minutes three times a week in January, and then on February 1, start running for the same amount of time” gives you a much more reasonable chance of success. Similar to the vague resolutions mentioned above, goals that have no timeline attached to them are little more than wishful thinking or daydreams. Resolve to “spend every Tuesday, Thursday, and Friday evening and all day Sunday with the family” rather than just saying you will “spend more time with the family.” Without a time slot, you can keep thinking you’ll get to it later, whereas specific times marked in your calendar will remind you at 6:00 pm right from your very first Tuesday that you need to get with your family. Time slots and target dates make it easier to recognize when you’re running into trouble, and also easier to see and get a spark from each success along the way. There you go, a few tips to get you started. What temptations have plagued your best resolutions so far? Add a comment below and then check out Part 2 of our ways to make a New Year’s resolution that works! Good article Lorne! Good reminder to keep resolutions specific! Thanks!! Thank you, Pam. I appreciate the feedback. May your resolutions all work out wonderfully!